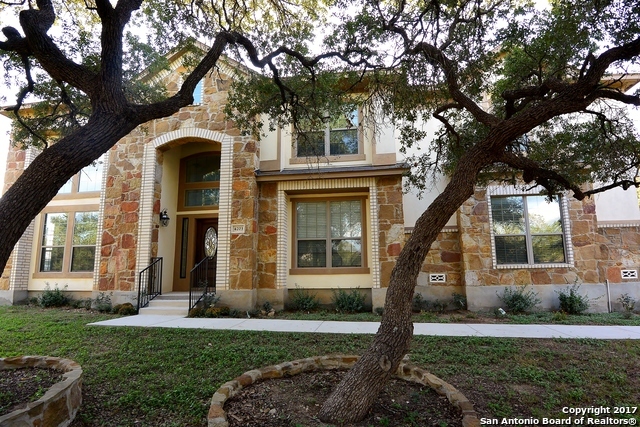 All WEST OAK ESTATES homes currently listed for sale in San Antonio as of 04/22/2019 are shown below. You can change the search criteria at any time by pressing the 'Change Search' button below. "What a beautiful house! Owner took fantastic care of this house. Enjoy the evening breeze on the front, wrap around porch. Located in the gated community of West Oak Estates! This home features an enormous amount of natural light and offers an open floor plan. High ceilings, double pane windows, wood floors, new carpet and marble flooring are just a few of the upgrades offered. Check it out today before it is gone!" "Exquisitely designed. Nestled amongst mature Oak trees on almost 3/4 of AC. Great curb appeal. Stunning 24 ft ceilings in entry way. Grand stair case with iron spindles. Second floor game room overlooking the first floor. Huge island Kitchen with breakfast bar. Master suite down stairs. Master bath with his/her separate sinks, jetted tub and separate shower. Recently installed carpet, granite counter tops through out, faucets and privacy fence. No carpet on first floor. Sprinkler system & gate"